There is nothing worse than feeling uncomfortable when you’re exercising. If you have to feel conscious of what you’re wearing or your movement is hindered in any way, then your activewear isn’t doing its job. The worst-case scenario is that your outfit prevents you from working out as hard as you can or maintaining proper form. Your sports bra, in particular, needs to support your body and move with you. The right bra can make all the difference to your workout. Here are five that will keep you comfortable and covered no matter how you get your sweat on. The Bloom Bra is hands down the most comfortable, functional and customizable sports bra available. There is only one style and color available (black), but there are no other brands making anything close to a comparable garment. If you’re well endowed, and you find that every workout is uncomfortable or your breasts get in the way—Bloom will change your life! Designed with front zipper and flexible mesh across the back, it will still fit comfortably if you are on your period or if you gain a little weight. The straps are very easy to adjust, especially on your body. Instead of a slide, there are different levels you hook into. This system is patented for a custom fit. The cups are also individually adjustable. Did I mention the Bloom bra lifts your breasts? The bra is just as flattering as it is supportive. 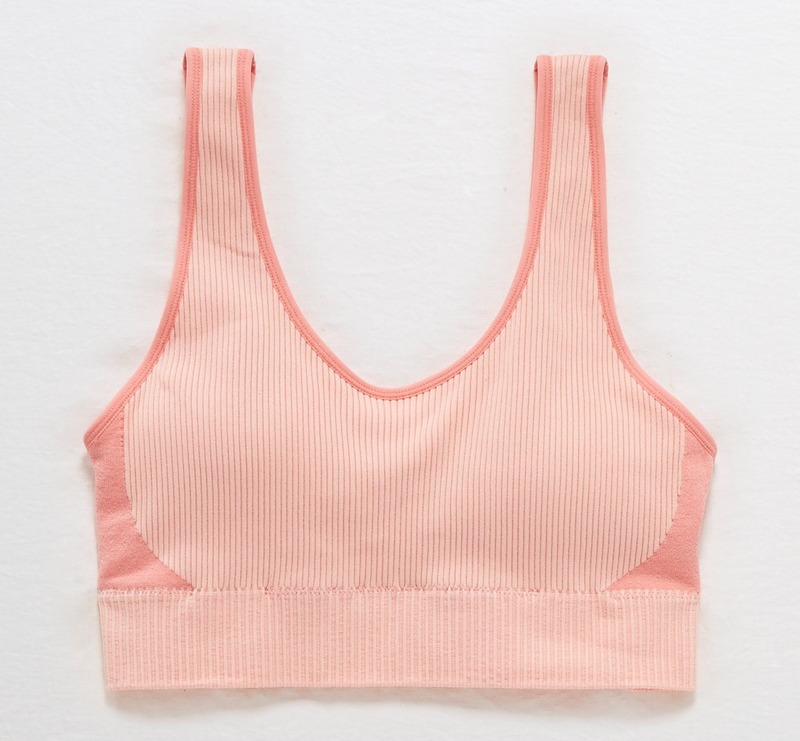 Outdoor Voices Slashback Crop Top is a dream for hot yoga. The construction of the top/bra is flexible and non-constructing making it really easy to get into any asana. Made of sweat-wicking fabric, it keeps the moisture off your skin. The high cut neckline also covers you up, so you don’t have to worry about accidental exposure in down dog. 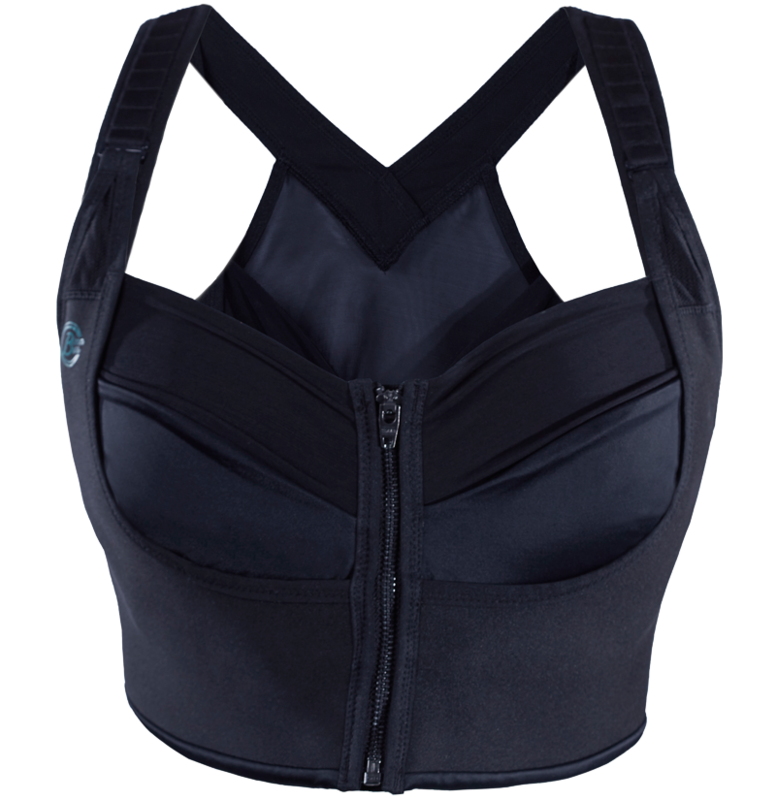 Available in several different colors and patterns—Crane & Lion’s Keyhole Sports Bra is ideal for Pilates, even while using a jump board or Wundachair. It provides medium support and is made of a sweat-wicking fabric. But, it still feels comfortable to wear to brunch or maybe to take a post workout nap in. There are even removable cups if you think you need little extra padding—or don’t. Do you ever have those days when you don’t feel like wearing an unwired bra? Or you’re going for a brisk walk around the neighborhood with your dog? Then the Chill Seamless Sports Bra by Aerie will be your go-to. The seamless fabric feels like a hug, and it even looks cute peeking out of a cotton t-shirt. Made of sustainable fabric, the Mudra bra is designed for flexibility. The wide straps provide support, while the v-neck and back keyhole your look on trend.